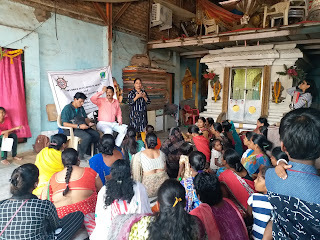 16-March-2019, Mumbai: The Don Bosco Development Society (DBDS), Mumbai organized a training on ‘Post Office Saving Schemes’ for women from low income group residing in Indira Nagar slum in Sion Koliwada. 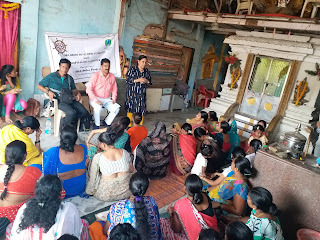 35 women participated in this workshop which was organized under the aegis of ‘MGL Disha Project’ supported by Mahanagar Gas Ltd.
Ms. Surekha Pednekar (Project Officer - DBDS) welcomed the participants and resource person. Mr. Dinesh Dedhia (Public Relation Inspector) from Mahim post office was the resource person for the training. 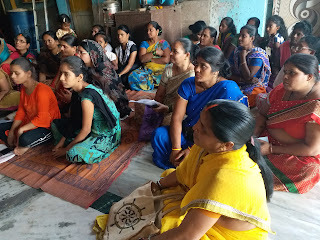 The workshop focused on the saving and investment behaviour of people. He further urged the participants to save money and invest smartly so that they could have good returns from the investments. Ms Basanti Solanki (Staff-DBDS) proposed the vote of thanks at the end of the programme.